Watch D.O.G.S. (Dads of Great Students) is the safe school initiative of the National Center for Fathering that involves fathers and father figures in order to provide positive male role models for students and enhance school security. The school partners with fathers in allowing a half, whole, or even multiple days in a year to engage with their child and their child's peers. 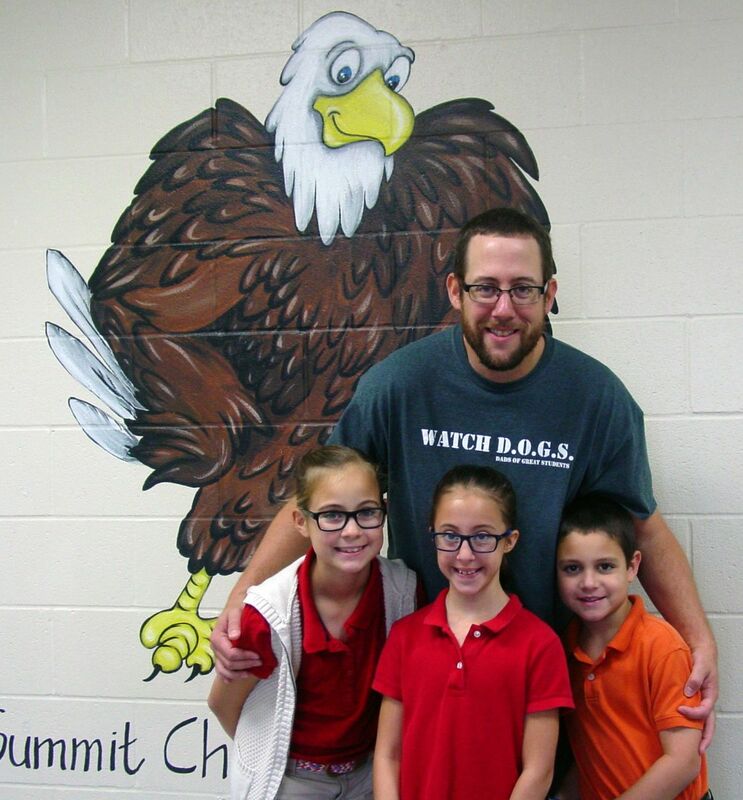 During their day, dads monitor the car line, assist in the classroom when needed with things like Bible verses, homework, flashcards, and spelling, and they get to have lunch and recess with their student! They also monitor the lunch room and walk the building perimeter ensuring student safety. Call 816.524.0185 or email Wdogs@sca-kc.org if you have questions about the Watch D.O.G. program. If you would like to sign up for the program, complete this online registration form (Watch D.O.G.S. SCA Registration Form). This registration form is for fathers and father figures of current SCA students only. After submitting the form, a background check will be conducted and you will be notified by email when complete. Please allow 2-3 days for the registration form to be processed. For current Watch D.O.G.S., if you would like to schedule a day or two to be a Watch D.O.G. at SCA, please send an e-mail to Watch D.O.G.S. Thank you for volunteering at SCA!